Our Isobel Pine Sleigh Bed has a sturdy unique frame with a high quality sophisticated design. 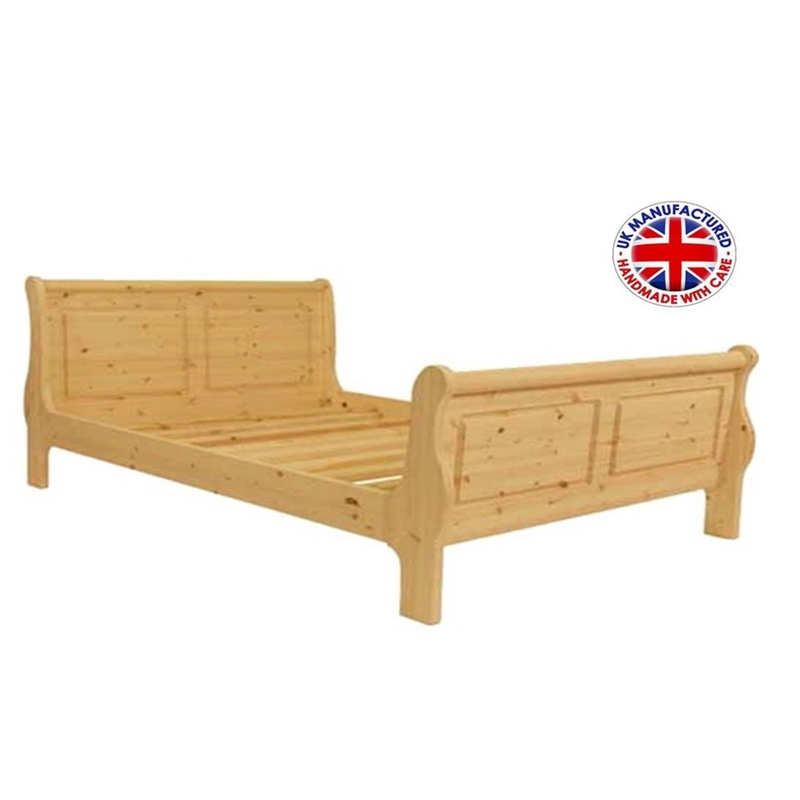 This bed is produced from finest quality kiln dried redwood, sourced from sustainably-managed forests that are signatories of the Convention on International Trade in Endangered Species. This ensures your product is of the highest quality whilst remaining ecological. All beds come with the patented Firm Fix system, this enables the furniture to be assembled and disassembled as often as is required; it also guarantees no unsightly screws to spoil the appearance.